Chandrabose.G is the Proprietor, Head Coach. He is also a Sports Physio and Varmam Therapy expert. His experience in Medical Varmology(Varmakalai therapy) and acupuncture helped many to overcome injuries and attain peak performance. He has 40 years of experience in Coaching and organizing Track and field events, general Fitness and specific fitness for other sports. One will benefit from his enormous knowledge in Training methods, Bio mechanics and kinesiology in improving Endurance, Strength, Power and speed, agility and mobility, running Economy and Efficiency of running. It is important for an athlete to stay injury free during and after retiring from active sports. Here comes the need for a coach who will have knowledge in injury management and rehabilitation apart from coaching. M.A. Economics, PhD in Physical Education, MPhil in Physical Education, Masters degree in Physical Education, Bachelor’s Degree in Physical Education , MSc Yoga for Human Excellence, MSc Varnam and Massage Sciences, MD in Acupuncture, , Pranic Healing – Basic, Advance and Psychotherapy. NIS Regular Diploma in Athletics Coaching – SAI Bengaluru. He is currently a LEVEL – I certified coach from International Association of Athletic Federation (IAAF) and an IAAF Level – I certified Technical official. 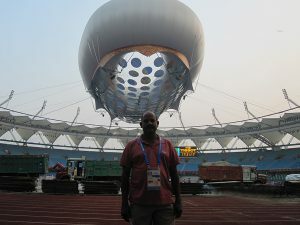 Technical Official for 2008 and 2010 Common Wealth Games. 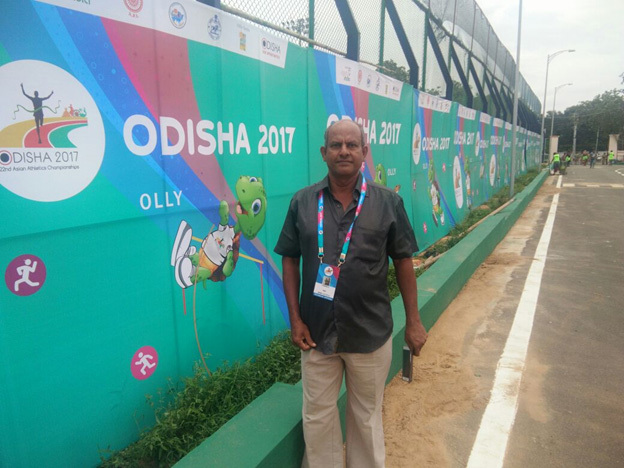 Technical Official for South Asian Federation Games. Technical Official for Asian all-stars Athletics meet. Tamil Nadu School Games Federation Athletics Team Coach since 2014. Athletics coach for Madras Christian College, Tambaram, Chennai from 1990 to 1996. 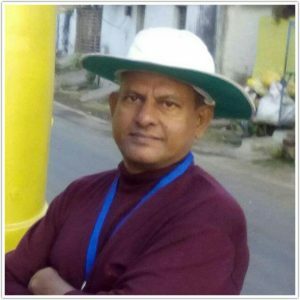 Athletics coach for Crescent Residential International School, Vandalur, Chennai – 48 from 1996 to 2000, 2015 to 2018. Guest Lecturer for Tamilnadu Physical Education and Sports University, Chennai. Expert Coach for Sprints and Jumps Academy run by Sports Development Authority of Tamil Nadu from 2013 till date. Fitness Coach for Robin Tennis Academy, Tambaram, Chennai since 2010. Athletics Coach for Mach Sports Academy since 1990. Fitness Coach for JPS Badminton Academy, Pallikaranai, Chennai Since 2015. Athletics Coach for Sports Development Authority of Tamil Nadu – Chennai District Unit from 2005 to 2013. Athletics Coach for Madras Christian College, Tambaram, Chennai, Tamilnadu from 1990 – 1996. Athletics Coach for Crescent Residential International School Chennai from 1996 – 2000. Tamilnaudu Khelo India School Athletics Team Coach 2017. Tamilnadu under 22 Athlectics Team Coach 1994. Represented Madras University in Athletics. Three Years Madras University Champion in 800 Meters and 1500 Meters.